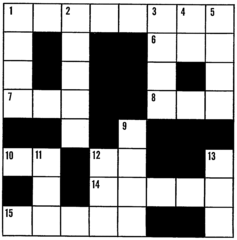 This entry was posted in Tossman Cryptic Crossword Solutions, Uncategorized and tagged answer, crossword, cryptic, solution, tossman on July 28, 2017 by pavlov.a. I think 12d should perhaps be Homogenise, so that 25a can use the E in Newsreel. Thanks for this website always completed long before me.